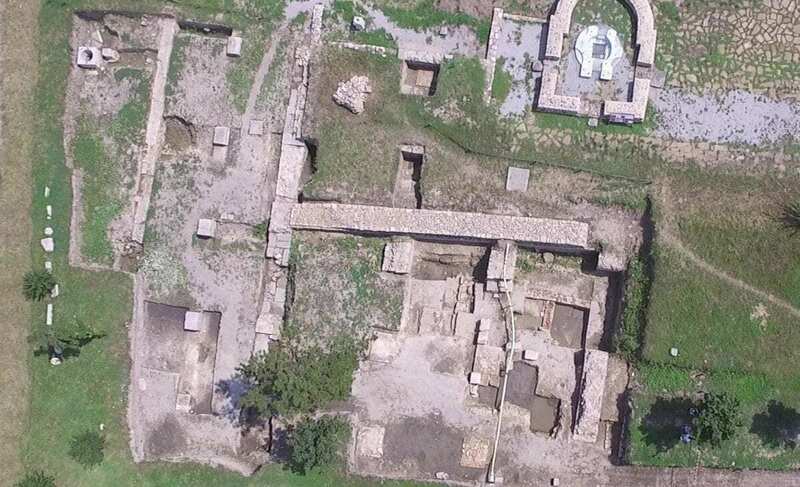 Dr. Elena Klenina and Dr Andrzej B. Biernacki worked on the site of a former legionary camp belonging to the soldiers of the First Italian Legion. Last year, they determined that it a large structure was an arsenal – armoury, which this year’s excavations have made it possible to learn more about the subsequent history of the area. The structure built by the Roman soldiers was huge, it occupied about 1800 square meters and was erected in the first half of the second century. Consisting of six monumental rectangular pillars arranged in two rows they were made of precisely matched, hexagonal blocks of limestone. In the opinion of the researchers, it is one of the most monumental buildings ever discovered in a legion camp along the Danube River. “At the end of the 4th century construction was rebuilt and then it also changed its function: instead of military installations, it started to store grain and other food necessary to keep the legion stationed here”– said Dr Klenina, head of the International Interdisciplinary Archeological Expedition “Novae” of Adam Mickiewicz University in Poznań. Excavations have found numerous artefacts and over one hundred bronze coins that were minted in the first quarter of the fourth century AD and a dozen or so coins dating from the reign of Emperor Licinius I (308-324 AD). Also uncovered by archaeologists is the limestone head sculpture depicting a syncretic deity – Dionysus-Sabazios. According to Dr. Biernacki, the artefact may indicate the arrival of settlers from very distant regions. From the artistic side, the sculpture exhibits distinctly middle-eastern influences with elements of the Greek art of the archaic period of the 1st or 2nd century AD.